What if the man you are longing for loves someone else? I am dedicating the next few weeks on my blog to answering questions women ask. My heart breaks at this question because it tells me another woman out there is lonely in love to the point that she will settle. It’s not her fault. She’s been made to believe that if she tries harder, or sticks in there longer, or loses more weight, or changes her behavior in some way, this man will begin to love her, or love her more, or love her once again. I know of many women who would rather be with a man who doesn’t love them — or who treats them badly, or who just tolerates them — than to be alone. Yet, if we settle for whatever we can get in our relationships, we will always have what exists on the bottom wrung. When women find their worth in God’s eyes, they will understand that they are loved with an everlasting love (Jeremiah 31:3), and that they are unforgettable to God (Isaiah 49:15), and that they are truly sought after (Isaiah 62:12). 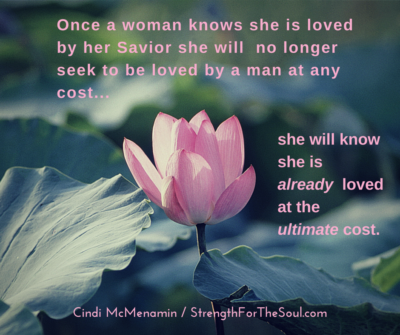 Once a woman knows she is truly loved by her Savior, she will no longer seek to be loved by a man at any cost. She will know she is ALREADY loved at the ultimate cost. Jesus — God in the flesh — laid down His life for her on a Roman cross so that she would not have to die in her sins. It was the only thing that could be done so He could spend eternity with her. Knowing we have been rescued with that kind of unconditional, redeeming love, how could any man on this earth compete for our hearts? Keep your eyes open for a man who will love you as God already loves you and suddenly the bar will be much higher — and your chances of being hurt or betrayed will be much lower. What is the question that is burning on your heart? Ask me in the comment section below and I will do my best to answer it in the coming weeks. on What If He Loves Someone Else?. My husband held his “dirty little secret” (his remark) for 20 years when I found emails he’d been sending to his old lover. He’s loved her all these years and had longed for her, found her on facebook. But after I learned about all this now 4 years ago, we nearly broke up, I’ve been heart broken ever since. He told me that he still intends to contact her occasionally. Things have changed, of course. How do I stay in a marriage like this? I love him, and I know he loves me, he just loves her too. He says it’s over, I just need to get over it. I agree. I am seeking suggestions, bible references, any assistance or advice. Thank you, Bre, for sharing your heartache here. I have heard many similar stories through the years and have sought out good resources to help women like you. I believe the best advice has come from Dr. James Dobson in his book, Love Must Be Tough. He recognized nearly 20 years ago when he wrote that book that women who are cheated on have a window of time to show “tough love” and change the heart of their husbands and restore their marriage or they will be cheated on and taken advantage of for the rest of their lives. I highly recommend his book. It is comforting, as well as confidence-building. And I will do my best to address this in more detail in the coming weeks. You are in my prayers today. Thank you for your response and your prayers. “Love must be Tough” was one of the first books I read on affairs. There are several other good ones, such as Men women love, Women men Leave, the best book on co-dependency is Women who Love Too Much. I am beyond the game playing of pursuer/distancer, its more about healing my heart. I doubt if I will ever fully trust again and just rely on the Lord for love and guidance. I look forward to your future blogs! Bre, my books Letting God Meet Your Emotional Needs and When a Woman Overcomes Life’s Hurts, would be very encouraging to you right now and help you heal your heart and get to that place where you can rely on the Lord for love and guidance. 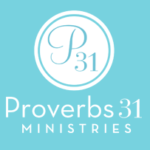 Please check out some of my free articles on my Articles of Encouragement page that are based on these books and others. My prayer is that you will be comforted in the midst of all of this and find a true intimacy with God that is unlike anything you’ve experienced before. Thank you Cindy.I was in a situation like this and I’m really glad that I have the answer I needed.I will definitely make my self unavailable.Thank u so much this email came at the right time. Thank you, Mercy, for commenting. As you raise the bar of expectation in your life and see yourself as a daughter of the King you will find that God’s love for you meets your expectations every time. Be encouraged. So simple yet so true. ” If we settle for whatever we can get in our relationships, we will always have what exists on the bottom wrung.” Your email came at just the right time. Going through a breakup and lots of family drama in my life and found your website to be most encouraging. Has already helped me start to find my way. Have ordered your books and can’t wait for them to arrive. But how do you cope when your husband never loved you when u got married or now after 7 months of our marriage. He in every way keeps his distance being in 2 separate countries he still doesn’t try to come after me or even try to talk to me. It’s more than 3 weeks I haven’t heard from him. I don’t know what he wants from our marriage. He is always silent about everything. I don’t even know if he wants to call me and wants to live together in the same country. In 7 months all I have got is mental, physical and emotional distance. Neha: I am so sorry for what you are experiencing. It’s difficult for me to answer, not understanding the circumstances under which you got married. I will take a week or two to pray about this and seek God’s wisdom in how to answer responsibly and biblically. Thank you for trusting me with your question and stay tuned to my blog in the coming weeks. You are in my prayers, Sister. My husband is not a believer. But he knew evrything before we married and he nevr had any issues with my faith. Till now it’s not about argument on our faith but I hardly know the man I married bcoz he tends to keep himself distant. Our marriage sometime seems one sided. Right now I’m in a position where I am confused if I should try again n go back in his life. Wow…”when women find their worth in God’s eyes, they’ll understand that they are loved with an evalasting love”. I love those lines. Just looking unto Jesus now, i know every other thing will be taken care off. You’re welcome, Seun. Thanks for commenting. Thank you for commenting, Cesilia. I must be very careful when giving someone advice concerning divorce. I will answer to God for how I represent Him or speak on His behalf and I know He is the God of reconciliation and divorce is never His desire. I do not know the details of your situation but our Heavenly Father does. Yes, I will keep you in my prayers during this time. Cling to Him every step of the way. Surrender your heart to Him and don’t let your heart become bitter in any way. We become more like Him as we love unconditionally and show grace even when others don’t deserve it…as that is what He has done for us. Hi, Cindi – I just found your blog here. I’m a widow, of a year, and I recently became involved (on the phone, long distance) with a man who just told me he’s long been in love with a married woman, with whom he carried out a lengthy affair, until about 5-6 years’ ago. (BTW, that woman will never leave her husband for this man – she says she can’t, because the husband is crazy/needy/abusive, etc. . . . ) — I don’t think he’s meant to hurt me – but it does rather sting – and he said he told me because he respects me and doesn’t want to use me, to try to get over her. He’s said that I’ve been the only woman to really catch his attention, since this woman, but that he knows I would need 100% of him and that he doesn’t know what he has to give to me. He said he never should have gotten involved with me (in our conversations) like he did. I told him I think he needs therapy and that I don’t want to talk to him, anymore. I wish I had never talked to him, to being with. It does hurt. Carol Ann: Thank you for sharing your story. Thank you, mostly, because it is a sign of your strength and your uncompromising values. I hear from so many women who would rather be with someone who is only partially there for them or who even treats them badly than to be with no one at all. God bless you for keeping your standards high and for knowing there is no future with the kind of man who recently deceived you into thinking he was available for a relationship. By telling him to get therapy and not talk to you anymore you show a strength I haven’t seen in women for quite some time. Thank you, again, for sharing your story and your example of a woman will hold out for what is best for her, not settle for less. My prayer is that God will bring the right person into your life who will have no reservations toward you and you will have no reservations toward him. Blessings, my friend. I was with my love for 15 years… 11 years unwed, 4 years married, 2 years in counseling, 1 year separated. We’ve gone through hell and back together and when we finally got married… I felt our bond was stronger and nothing could break us! We were the most in love!!! After the first year of being married, he had an affair with his co-worker, kept it from me, kept telling me he couldn’t stand my issues anymore and it was too much. I felt he wanted me to change what I couldn’t… I thought he accepted me for who I am…. my stubbornness… my insecurities…. He did counseling despite it all and continued with his affair. I got pregnant the year after and he decided he wanted a divorce. He moved out six months after our son was born. I continued to hope and pray that he would come back and see me the way he used to and love the way he did. Now he’s with a NEW love… living together and completely in love with each other (so it seems on social media)… I ask how can that be… when I gave him my all… I gave him everything… why does he get to be so happy? Elle: I’m sorry for the betrayal you feel. But please don’t be fooled by social media. No one posts photos of their bad days, the arguments, the frustrations and the affairs. If he cheated on you, he will probably cheat on her. Just because he is with someone does not necessarily mean they are happy. I hope that through all of this, you find the Only One who will never let you down…the perfect love, the Lord Jesus Christ. Hi..i love my bf but i says he loves me n other girl also…when i ask for breakup with other girl, he tells that he cant stop talking to her. .. I cant tolerate when he talks other girl. ..but i dont want to lose him.. What should i do..? Mac, the whole reason we “date” before we marry is so that we will know what we want — and don’t want — in a husband. Your boyfriend is doing something you can’t tolerate so I encourage you to ask for God’s strength to raise your standards higher and walk away from this relationship. If he isn’t willing to sacrifice what he enjoys (at the expense of your pain) then he isn’t worthy of your commitment to him. Many times we fear losing someone because we are convinced there isn’t anyone better for us out there. You were worth dying for in Christ’s eyes, so trust that God will bring you someone who treats you better. Tell your boyfriend that his continued relationship with this girl hurts you and if he doesn’t want to give her up, then he’s giving you up. Then be strong enough to back up your words by walking away…for good. When you make Jesus Christ your First Love, He will give you the strength you need to walk toward the better things He has for you. Blessings, dear one.